We now have all of the number in for 2013 and with the last quarter of 2013 numbers in, we can now project forward and shed some light on what we can expect for the coming year in the real estate market. There are also a number of points that I will try to make to put in context because what is reported on the news is often not stated in a way that will apply to an individual looking to buy or sell a home. 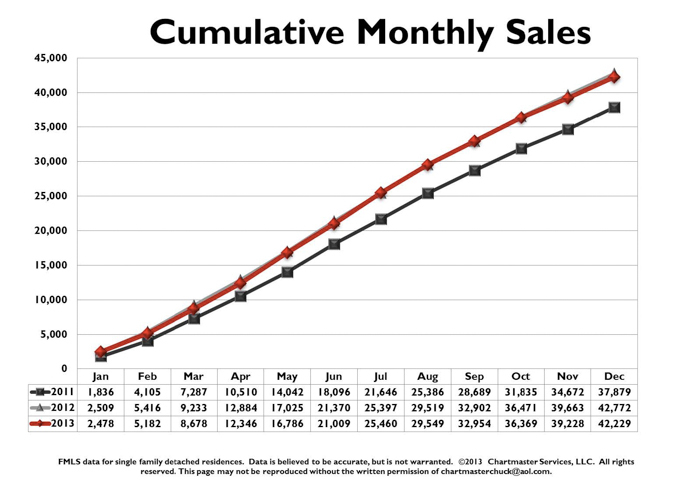 When we look at the graph above, you can barely even see the 2012 numbers because the sales numbers are so close to what they were in 2013, but the price points for the sales differ considerably. In 2012, a much larger number of homes sold below $100,000 than did in 2013 and that has had a major impact on other statistics. In 2013, there were far fewer foreclosures and short sales and that number continues to dwindle. While the overall number of homes sold remained similar, the number of investment properties fell dramatically while the number of homes sold above $200,000 was up in every price category. What this means is that owners rather than investors came back into the market creating what is a more traditional balance of buyers in the market. Moving into 2014, this trend is continuing with fewer and fewer distressed sales and fewer investment opportunities becoming available. The takeaway here is that "the deal" is basically dead. If you were looking to pick up a home below market value, your ship has sailed. This is due mainly because the number of buyers looking for these deals has not decreased, but the supply has all but dried up so those few that do come on the market, regardless of price point have multiple buyers vying for the homes thereby eliminating any possibility of a homeowner or bank selling a property for below market value. Let me be clear, there are still and always are good values, but there are no more deals. If you are in the market for a home and believe you are going to find a deal then you really aren't a buyer at all because there is nothing for you to buy. If you choose to wait longer, whatever type of home you are looking to buy will simply cost you more later than it does today. It's your money and feel free to waste it if you want, but I don't recommend waiting for something to come on the market that you feel is a good home and think you are going to buy it for 90% of what it is listed for. You are not the only one left who thinks this but there is no supply. You have no leverage and other buyers have shown they will pay asking prices for these homes. 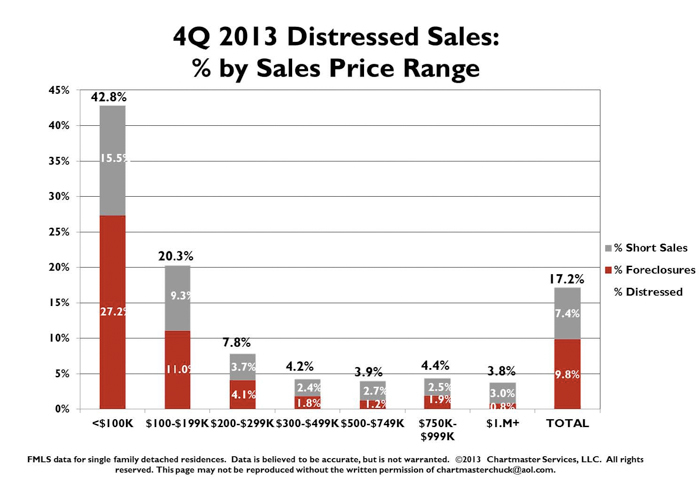 Once you go over $200,000, the total distressed market is well under 10% of the sales and over $300,000, it's less than 5% of the sales. This is for all of Metro Atlanta. Refine your search to areas that have sought after school districts and the percentage of distressed sales is about 1% of all sales. They aren't overpriced. You might think they are, but the truth is you are underpriced if that is what you believe. There is no shadow inventory coming to the market so if you really want to buy a home, now really is the time to do so. We like to think of spring and summer as the time when people list their homes for sale so many buyers begin looking in winter to get a feel for the market and then buy over the summer months. If you look at the chart below, there are few items I want you to see. First, there is a horizontal green line that represents a balanced market - one that does not favor a buyer or a seller. Since as long ago as the spring of 2012, it has been a sellers market, but it takes time for the momentum to shift and in 2013, we really did see all of the buyer leverage disappear. 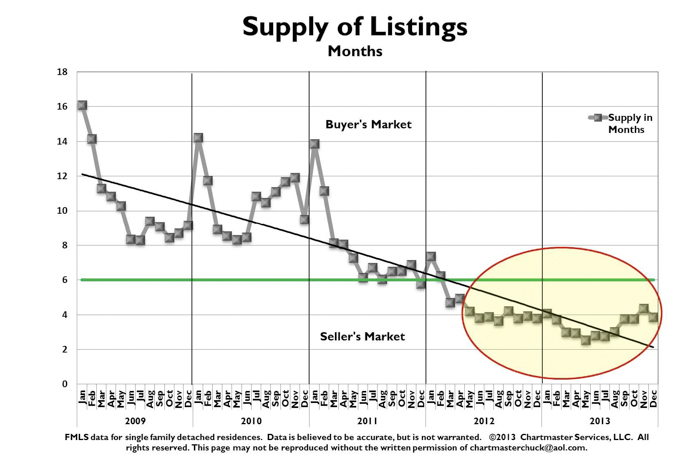 Also, we traditionally see tha spring and summer have more inventory, but this did not happen in 2013 for a number of reasons the most important of which was that sellers still did not have enough equity to sell so the summer months actually had a substantial shortage of homes. This looks like an amazing, positive chart for homeowners, but in some ways, it provides false hope. Look back up at the chart showing the price points and number of listings sold. 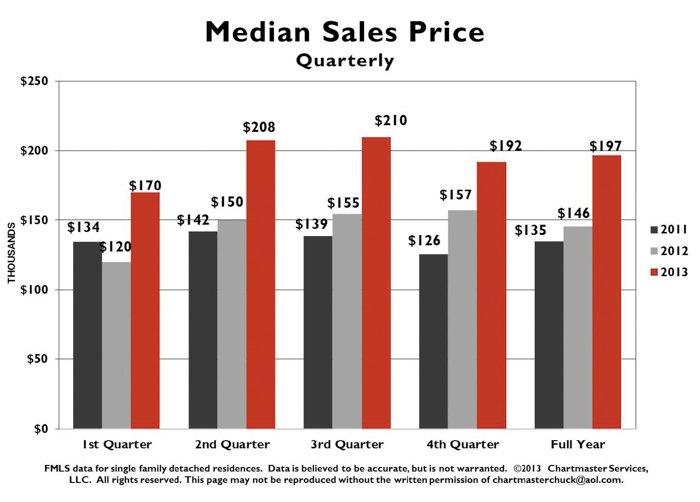 Remember also that the median price is the price at which half of the homes sold for more and half the homes sold for less. Now see how far fewer inexpensive homes sold and you will understand that this increase has more to do with a decrease in inexpensive home sales than it does with increased home prices. Due to low supply, sellers have been able to sell for closer to list price and that should continue. 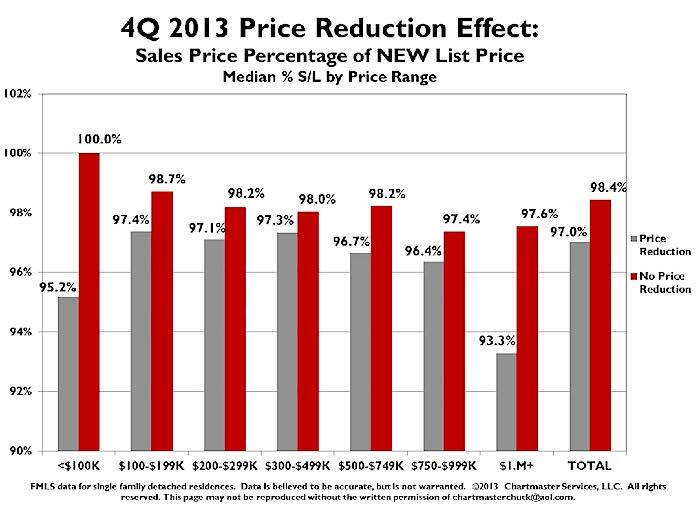 I can't stress enough how important it is to get your home prices correctly when it comes on the market. For a $400,000 home, it will sell for $6,000 more if you price it correctly rather than reducing it to the right price. This goes back to what i said earlier about the demand decreasing for homes over time. Up to $750,000, if your home is priced correctly, it will be under contract in 23 days or less provided it is priced and marketed properly. Price it wrong and you will be stuck in your home for a long time - and it will sell for less. 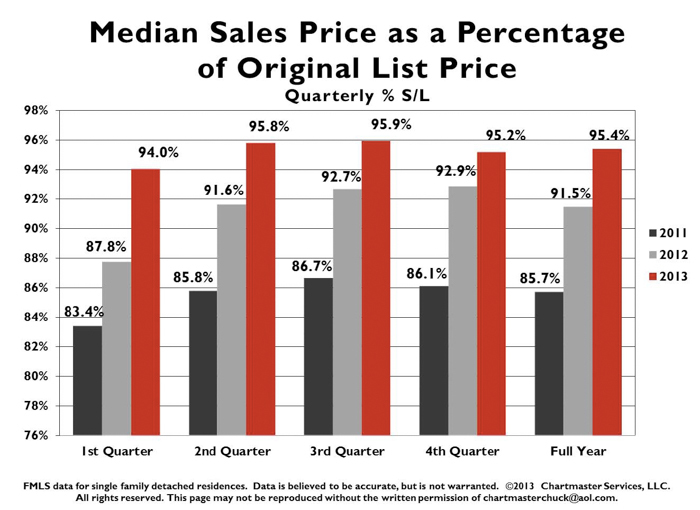 For buyers, if it's been on the market for a month, you can generally say it is overpriced and your either going to need to wait until the seller becomes more motivated or these are the homes you have a chance to purchase for less than 98% of the list price. 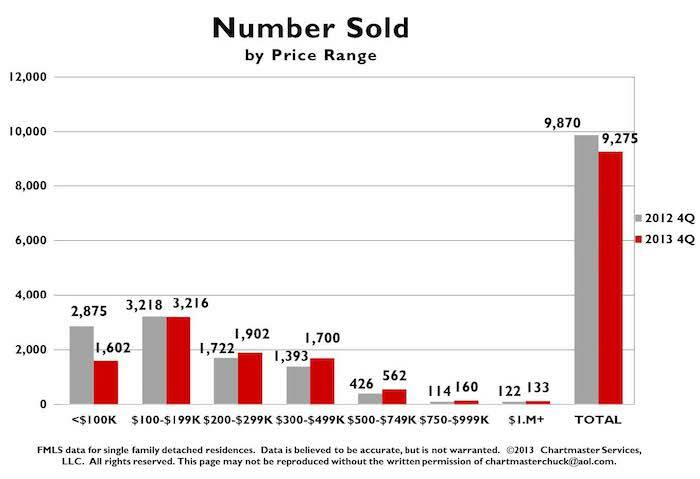 Briefly, here is a summary in case details bore you...this is a true sellers market with few if any distressed sales and where they do exist, they sell with multiple offers for just about what they are listed for. 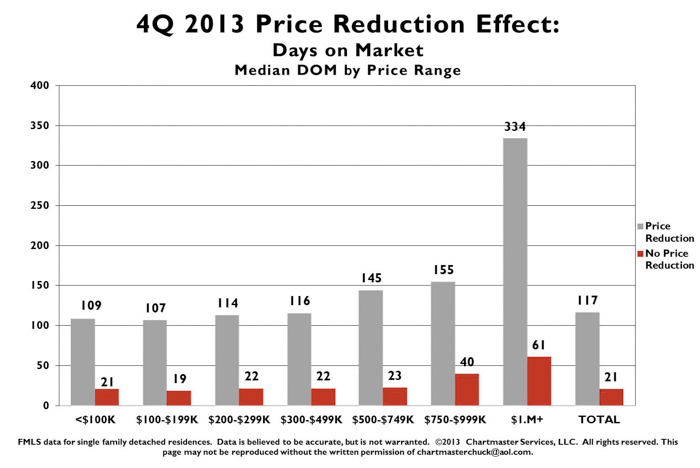 Days on market is down, sold price/list price is up. For Sellers - this really is a great time to sell if you have the equity to do so. 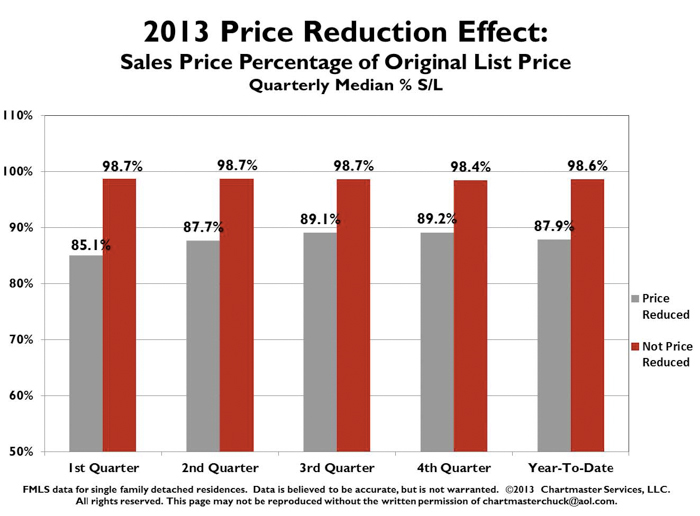 On paper and in practice homes are selling very quickly and for almost list price. There is no right time to list your home. In the winter there are fewer sales and generally less inventory and the buyers in the market are typically very serious. There is no need to wait to sell your home, go ahead and get it ready to sell now so you can move on to whatever is the next phase of your life. For Buyers - I know this doesn't seem like great news to some of you in the market still looking for a "deal" and that may be true. My suggestion to you would be that it is time to better understand value than look for a deal. Prices are rising - there is no doubt about this. If you find a home you like, you really need to understand that a good offer is the best way to get a lower price and you need to understand that if you are looking at a great home, it really will be sold in about a week. When the next great home comes on the market, it is going to cost more than the one you just lost to another buyer. 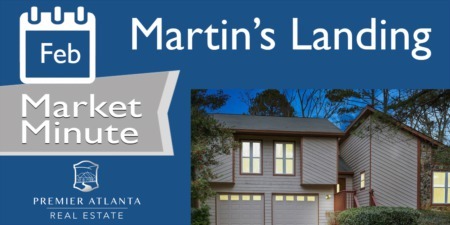 Get in the market, get your home and begin living the lifestyle you want in your new home. Ryan, these are great results of a lot of research, thanks for the work. Is this for the US as a whole, or your own geographic region? Things appear to be stabilizing overall, and not just peaking for a single year, or quarter. Good news for all of us, thanks Ryan. What's The Real Story? It's Probably Pricing! A Tale of Two Markets - Don't Be Fooled!